Struggling With Domain Development? Consider Bridge Apps. Bridge apps help you remove ugly parking pages and canned pages that don't rank in Google and replace them with simple, professionally designed templates that buy you more time to figure out what to do, but even more importantly— just visually make your domain seem a whole lot more valuable. There are many start-ups offering great "Software As A Service" (SaaS) value- development and slick web pages that look exactly like the corporate equivalents costing six-figures or more. Many can be deployed within hours and you simply redirect your domain to a page hosted often for free on their server. Many of these providers have popped up on .CO and .ME domains and I'm learning that .CO itself is like a bridge domain that many start ups that I FIND attractive are using as their own means to an end— which may eventually be a dot com, either they buy or if someone bigger and more established eventually acquires them and drop their name anyway. So I go to Go.Co not to see who is using .CO but rather to see a shortlist of new innovation that can serve me. At prices and with personal service before they get swooped up by the corporate raiders. One example is our friend Ammar Kubba's new blog AfterThought- built on a page that collects subscribers and makes a great first impression. You can build a similar page using LaunchRock.com. 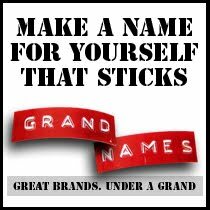 To help sell domains, David Carter just shared his templates for sales pages that provide a value proposition for your name to qualify interest and help the motivated buyer make a realistic offer for which there is an easy to fill out form versus the usual cryptic AOL or hot mail address. He's not alone. I gave up parking on 99% of my portfolio and started embedding these pages into my blog over 5 years ago. 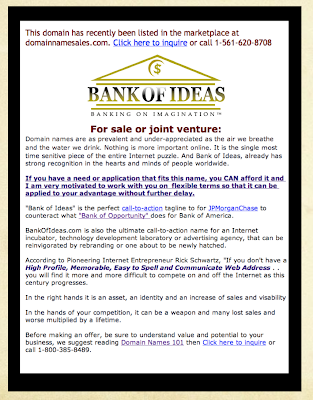 The email link was an issue but I am having better luck with integration to the Domain Name Sales Platform. I think before most emails went to spam and that was the broken link in most domainer's lackluster sales processes that Frank Schilling fixed first. What I like about having these pages within my blog is that I can redirect the domains to pages without having to maintain a separate site, host or server. The indexing benefits from the credibility of my blog as a whole not as if these domains were stand alone pages. Plus I can see from the stats, just who is checking out the name so even if the prospect approaches me via proxies, I know who is behind the offer. Frank Schilling has done a great job integrating a sales message into the inquiry process with his "Domain Names 101" That’s a really neat way of educating potential buyers, short, sweet and to the point, good graphics too! If all end-user buyers read that first they’d stop offering $100 for good 10 year old generics/brandables. 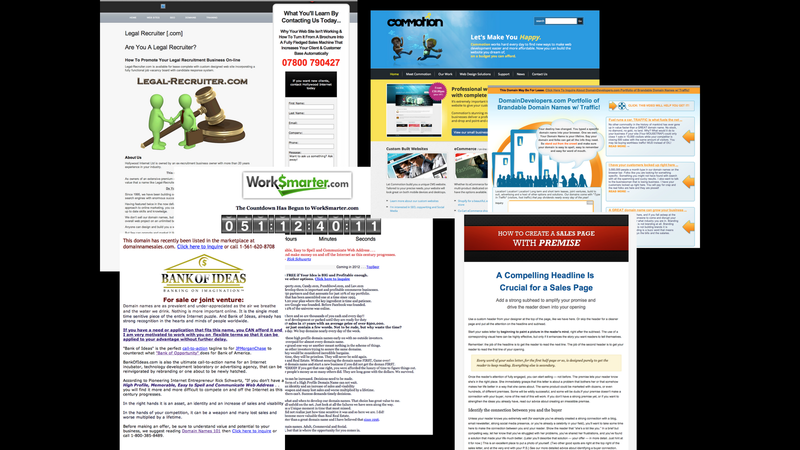 You'll also see Rick Schwartz turning to such landing pages on sites like DomainDevelopwers.com and WorkSmarter.com (GREAT copy points Rick, BTW). It's great to see domain name marketing being raised to such a professional level. With more brokers in the mix and fighting harder for their customer because they are in tough competition. I also like the spirit of co-opetition Ron Jackson addressed by opining "As more and more venues work together to put their listings in front of more eyeballs, we are seeing shared credits on an increasing number of sales. " And domain name listing pages circa 2012 need to look like a real property listing page or even a brochure. You couldn't sell a million dollar house without one. Or even a low-end Lexus. So congratulations on stepping up to the plate. 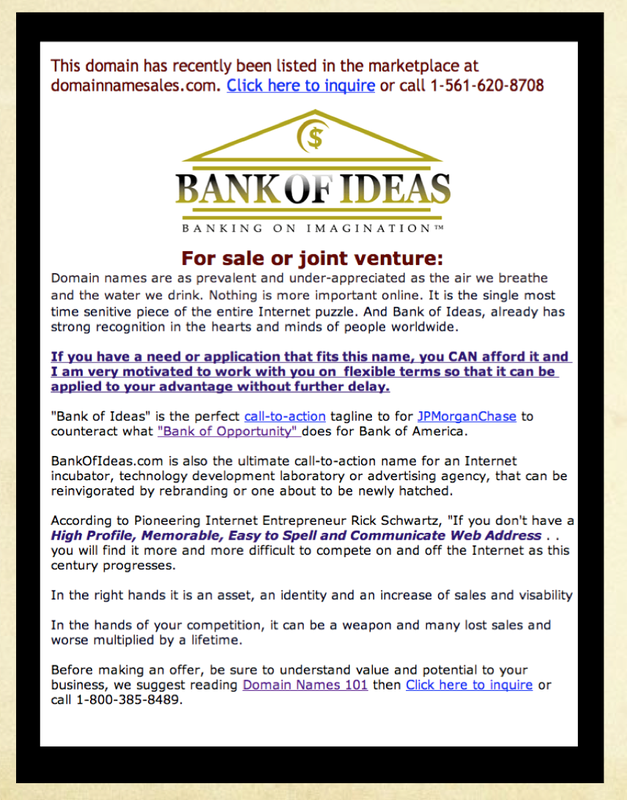 If you want to monetize a domain consider using the domain to sell something via email campaigns. Constant Contact, another Cloud SaaS company whose stock has double in the last year, succeeds by giving the little guys all the power and level playing field of the big guys. Using your own domain name, gives you even an advantage over someone bigger. It's quick to send emails, and it's quick to see results with real-time reports. You can even schedule email delivery for when your audience is most likely to check email, so you'll increase the likelihood they'll read it and take action. Constant Contact is an essential component of my own tool set. Another .CO start up Commotion.CO claims that they "work hard every day to find new ways to make web development easier and more affordable. 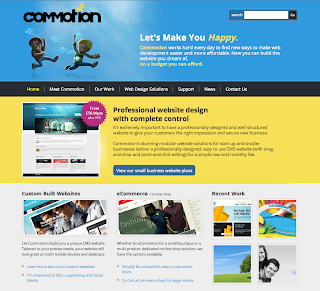 Now you can build the website you dream of, on a budget you can afford." Check them out. Billed as "think beyond your website- the world's best landing pages," the brilliant LIVE BALL is a turnkey land page product from an agency that served Fortune 500's like Citrix and IBM, now scaled to the point anyone can afford. 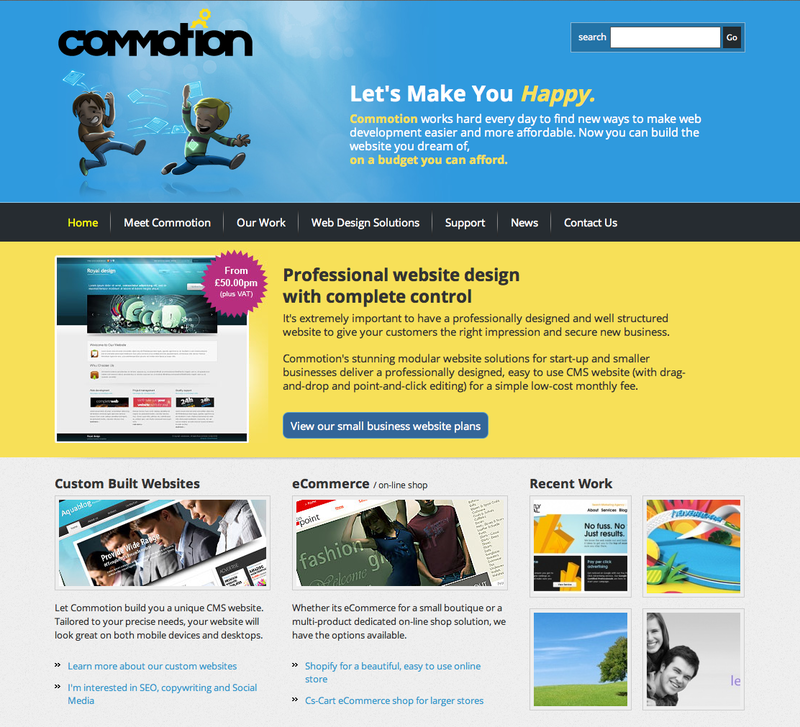 They specialize in landing pages- pages that make an offer and close a sale. There is a science to these pages and it's one of the most difficult skills to master. Conversion rate optimization and lead generation are key. 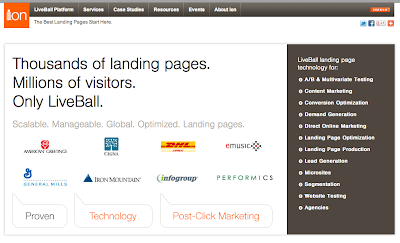 The foundation for ION's landing page strategy is built on years of A/B and multivartiate testing. They let Mastercard and other Ion Interactive clients over the last decade go through the trial and error so we can just walk in and get the benefit of an entire marketing team in a box. 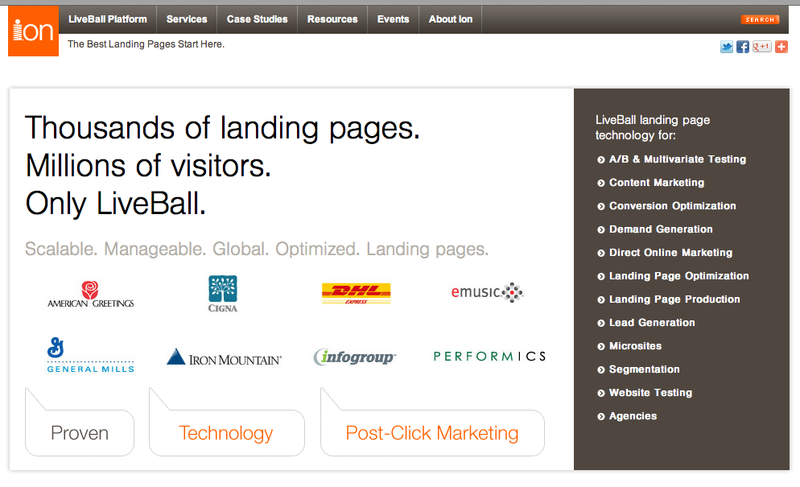 See an introduction to LiveBall, on interactive's post-click marketing platform. Includes 5 best practices of great post-click marketing client examples. About.Me is another quick way to get a page up tied to (or redirected from) your personal domain name. It gives you a storefront from which to prospect for business, offer products or services for sale or apply for financing. 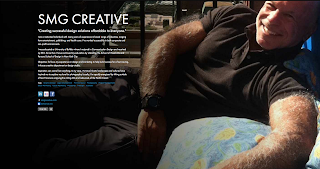 My friend, a freelance graphic designer made the page you swee here. 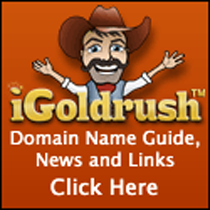 I have seen a few of the big domainers sporting About.me pages for their surname domains.